I love creating interactive anchor charts with my students. They love building the information we display and reference. For many years I have been building interactive word displays with my students. I love that for many of my students it provides them with another authentic purpose when they are reading - looking for words. It helps them make a connection between what we are learning about during our writing/word study time and their own reading. It helps the light bulb go off - "Hey, she is right, there are these types of words everywhere, not just in our lesson!". When I was teaching in Grade 3/4 we made a Word Nerd board to collect fancy, interesting, amazing words. Each student made their own word nerd self. They have huge heads to hold their huge brains filled with words! And their eyes are so big from reading so many amazing words! I made really basic templates for these word nerds that you can pick up here if you are interested. Next I gave my students a recording sheet to record any interesting words they come across in their reading. You can pick up a copy here. I used the adorable letters from Megan. Students recorded their findings and then added them to the bulletin board near their word nerd. Last year when I moved to grade 1 we focused on collecting words that matched our word study focus. We collected words on cookies and added them to our cookie jars. 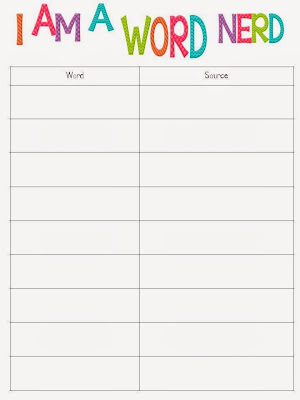 This year I am focussing on word collecting throughout the year - word families, types of words, fancy words - any theme that we are working on. So I wanted a permanent space to collect words. I used the Firefly Dance clipart form Krista Wallden and created a poster and sign. At the bottom I have a place to record what type of words we are collecting. I laminated the page so we can change up our theme easy peasy. 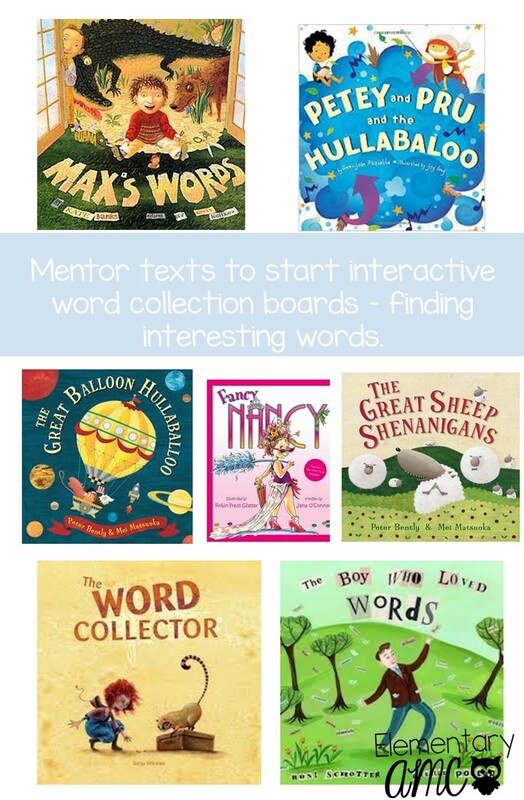 There are a number of texts that are fantastic mentor texts if you are interested in having your students become word collectors.